It’s episode ten and it’s Jill Bernard! 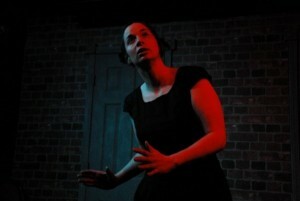 Jill is the creator of Drum Machine, the amazing one woman historically placed solo improvised musical. She’s also one of the most fearless and giving performers I’ve ever witnessed. Jill created Drum Machine in 2002 and has toured it internationally. She talks about how music, history and her numerous musical collaborators have influenced the show and her approach to solo improv. We also discuss finding balance between song structure and the emotional expression of her characters. The podcast ends with a song from a past performance of Drum Machine accompanied by Jack Barrett.